Squirrel Buster legacy is a perfect blend of the best features of all the other squirrel busters: truly squirrel proof, large volume of 2. 6 lbs., weight adjustable & chew proof. 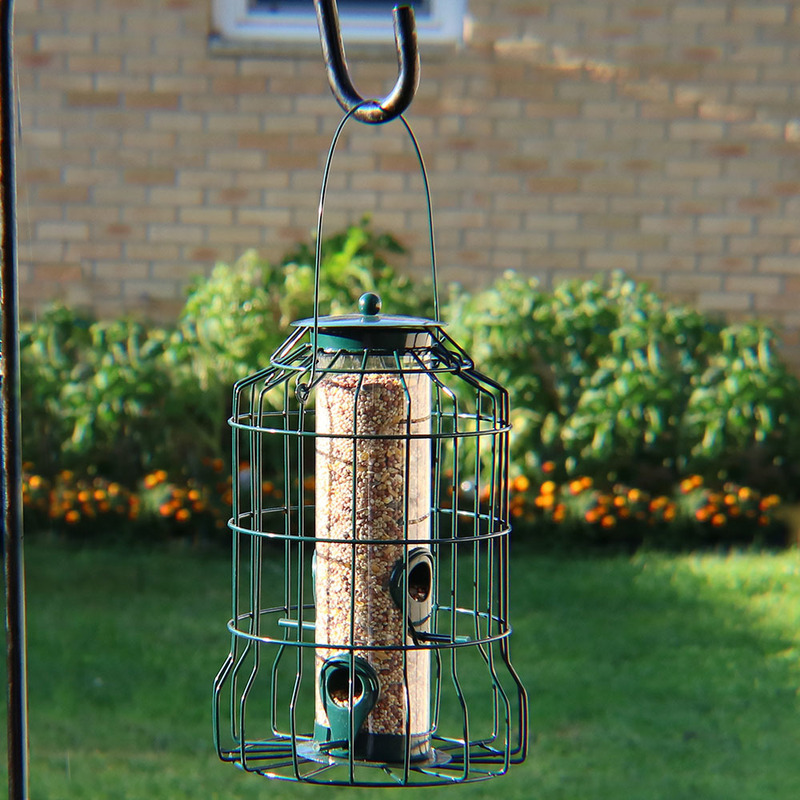 Squirrel Proof Wild Bird Feeder - 12"
Bring small songbirds like wrens, finches and chickadees into the yard with this squirrel-proof bird feeder. 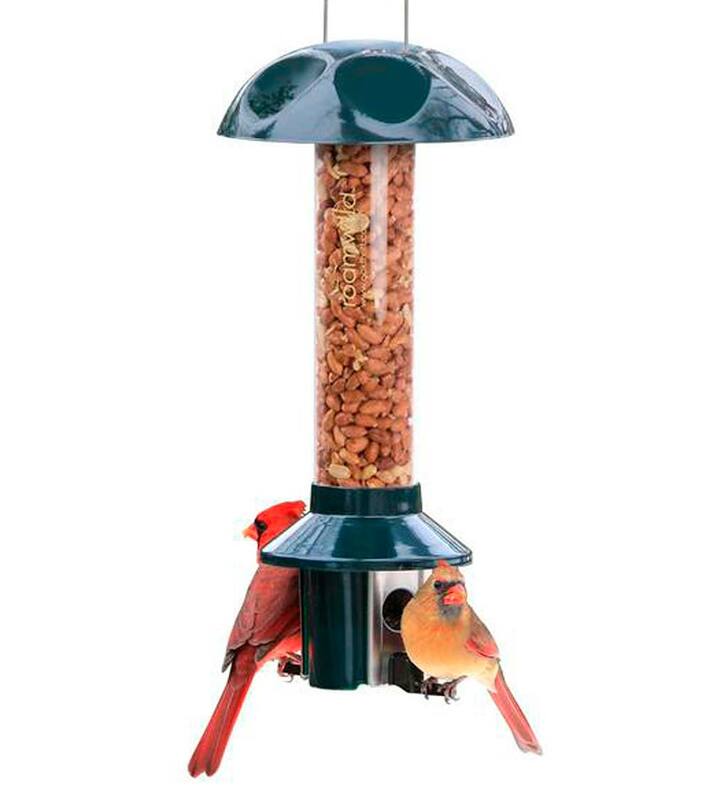 This bird haven features a plastic tube with 3 pegs for the birds to perch on as well as a steel wire cage surrounding the plastic inner cylinder. 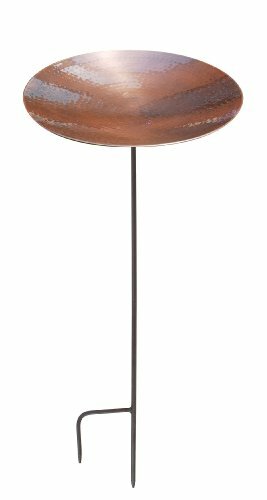 The steel hanging handle on the top makes it easy for securely hanging it up in any outdoor space. 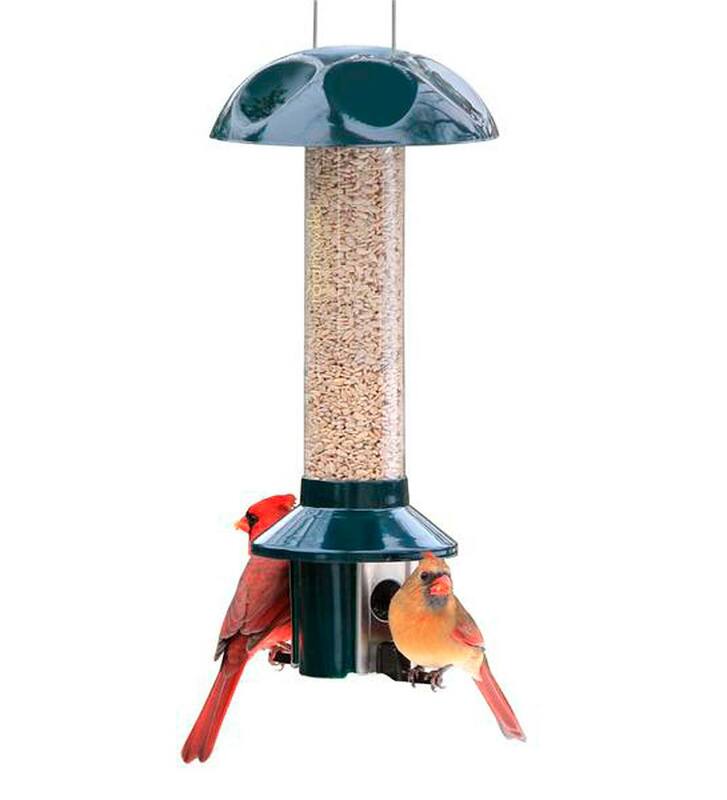 This feeder accommodates a variety of seeds including: smaller birdseed blends, sunflower, safflower, cracked corn, thistle, and millet. 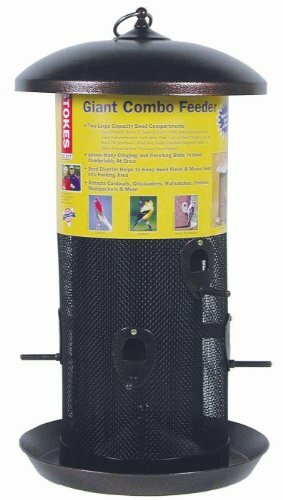 Squirrel Proof Wild Bird Feeder - 10"
A wild bird feeder just for the smaller songbirds like wrens, chickadees and finches. 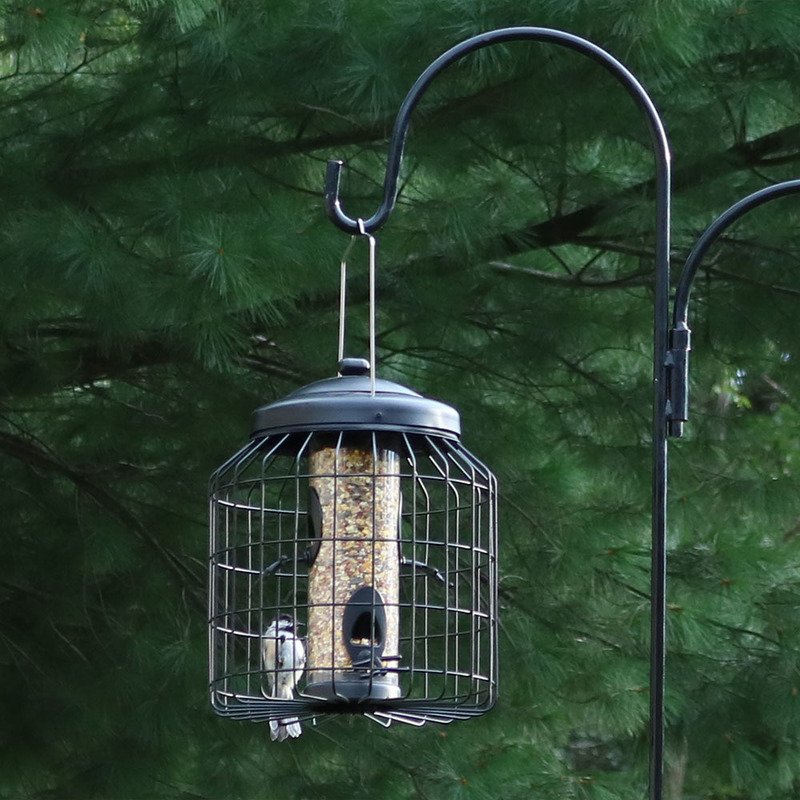 This wild bird feeder features a plastic tube with 4 pegs for the birds to perch on as well as a steel wire cage surrounding the tube that has enough spaces to let small birds in. 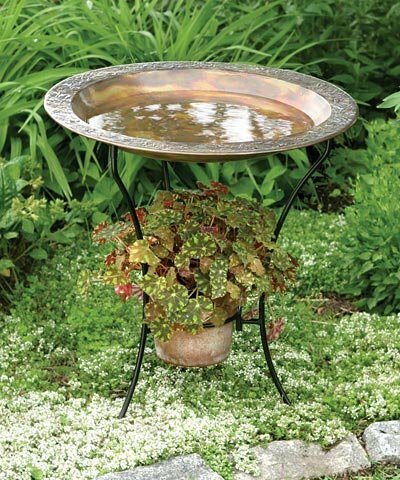 The steel hanging handle on the top makes it easy to securely hang it up in any outdoor space. 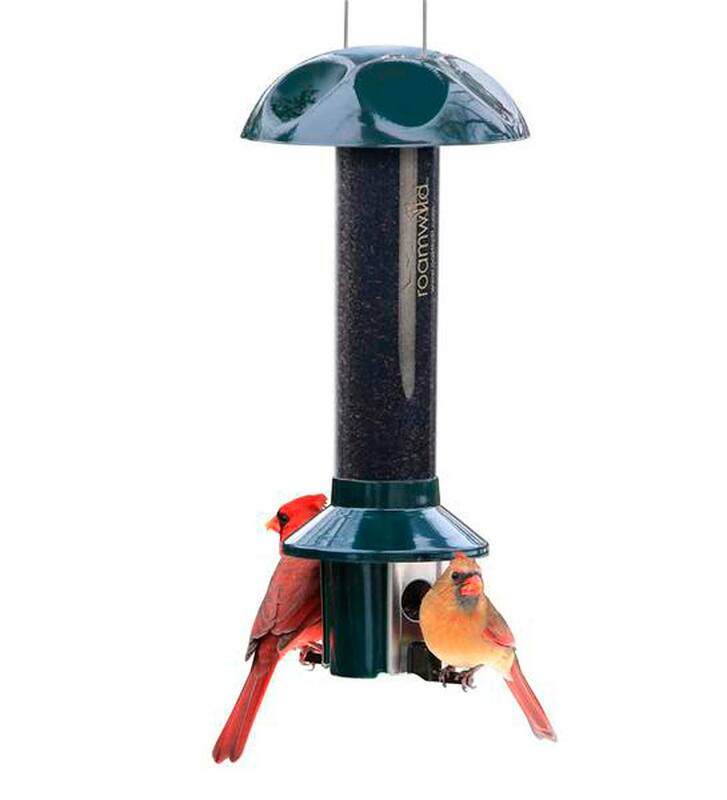 This feeder accommodates a variety of seeds including: smaller birdseed blends, sunflower, safflower, cracked corn, thistle, and millet.